New to Salsa classes ?or salsa ? come along and meet others who like latin music & dance. 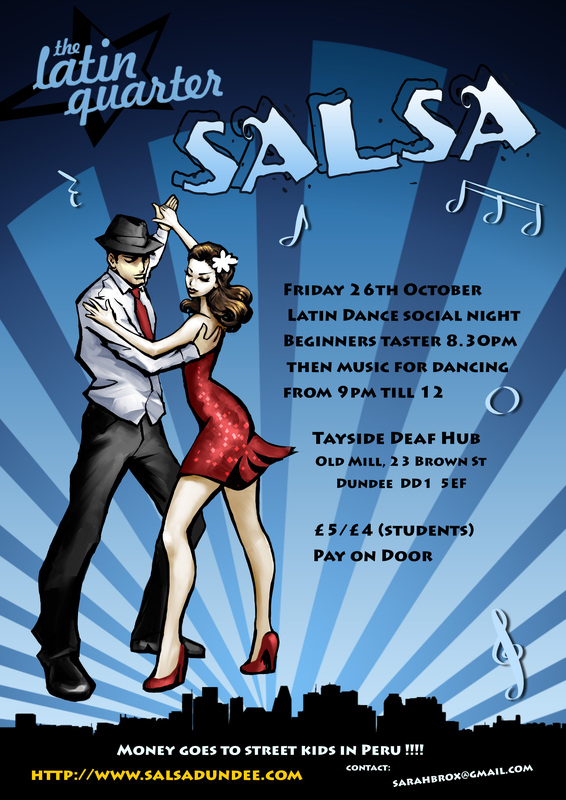 LQ social party , Fri 26th October @ Tayside Deaf Hub, Old Mill, 23 Brown St, DD1 5EF, £5/£4 (students), pay on door. FREE beginners salsa taster at 8.30pm, followed by dancing till 12. All money goes to Azul Wasi project in Peru. Please pass the word, bring friends, everyone welcome. Will be a raffle so any donations welcome too.